An uplifting collection of poems which celebrate diversity and which will help children search for things to love and cherish in ‘difference’. Learning to recognise the things we all have in common is an important lesson; perhaps learning to understand and value the things that make us different is a more important one. (Or is unlearning to fear ‘difference’ what older children need help with; countless studies have shown that very young children are oblivious to those differences which seem to concern adults.) 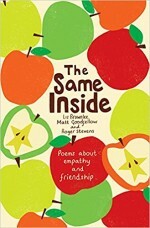 Billed as poems about empathy and friendship, this is one of those books that should be taken seriously (although many of the verses are fun) by parents and teachers. 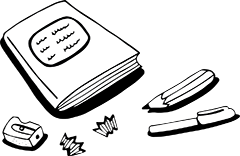 No school should be without a copy.